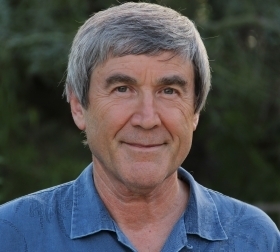 Renowned cosmologist and best-selling author Paul Davies will give the inaugural public lecture in the UNSW Big Questions Series on Tuesday 29 July. Professor Davies’ talk, Six Big Questions at the frontiers of science, will address some of the most challenging questions of existence – from the origins of the cosmos to cancer; from life’s murky beginnings to the search for ET. The lecture and Q&A will be chaired by ABC TV Catalyst presenter Dr Graham Phillips. Paul Davies is Regents’ Professor and Director of the Beyond Centre for Fundamental Concepts in Science, co-Director of its Cosmology Initiative, and Principal Investigator in the Centre for the Convergence of Physical Science and Cancer Biology, all at Arizona State University. He is a theoretical physicist and astrobiologist as well as a passionate science communicator who has presented a variety of radio and TV documentaries. He has lectured on scientific topics at institutions as diverse as the World Economic Forum, the United Nations, Windsor Castle, the Vatican and Westminster Abbey. He has also contributed to numerous debates about science, religion and culture and won the Templeton Prize in 1995. Professor Davies is the author of 28 popular and specialist books including bestsellers The Mind of God, How to Build a Time Machine, and The Goldilocks Enigma. His latest book, The Eerie Silence, is about the search for intelligent life in the universe. The UNSW Bookshop will be selling his books at the event and he will be available after the lecture to sign copies.